Club Penguin Cheats by Mimo777 Club Penguin Cheats by Mimo777: Newest Club Penguin News! The voting for the Penguin Play Awards will be ending on the 28th and the winning play will begin at the Stage on March 30th! Then, on April 1st, there will be the April Fools Party! I can't wait for this awesome, wacky, weird, bizarre, ridiculous, & silly party! And, lastly, the Underground Caves are here to stay! Woot! Wow, lots-o-fun! What are you looking forward to the most? I cant wait for the wackeee april party! Underground here to stay for forever? Has anyone noticed they skipped the st patricks day party? Awesome! I can't wait for the party! 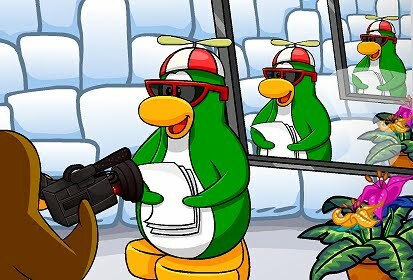 I wonder what wackyness Club Penguin will throw at us this year. im basically wanting everything to happen rite now! i cant wait for the club penguin's most wfcf (w=wackiest f=funniest c=coolest f=faboulous)party i think it will rok just like mimo and me. I love April Fools! Its my fav holiday, its so wacky and phunnie. They should make penguins upside down!!!! Awesome, cant wait for april fools!! Yeah im really angry about that :'( can't belive they forgot!! April Fools is an awesome holiday! I can't wait for the partyy! It is an upside down penguin party, i know famous penguins. It's because Club Penguin had too much stuff to do this year. I mean, they HAVE created a new game and three new rooms, which have exceedingly high graphics. I'm a bit disappointed that they've skipped it, but hopefully next year there will be a party! Smart Sir (CPG Mod) Sorry that I didn't put CPG Mod next to my name on my last comment. Please forgive me! Did anyone notice? 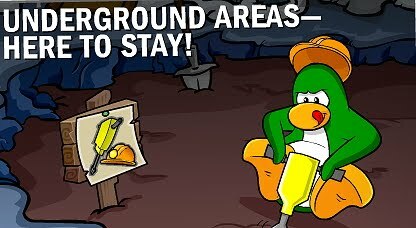 No St. Patrick's Day this year ... and easter is only a week away, and the Club Penguin Times didn't mention the Easter Egg Hunt? Does that mean the Easter Egg Hunt won't be held this year? !